4 tbsp Madeira or water to whisk the thickener in. Bring the stock to a boil. Whisk the starch and water / madeira together. Whisk the thickener into the stock. Whip and pour vigorously, in a thin stream, in order to avoid lumps. If you use cornstarch or arrowroot it should only cook for about 3 minutes. If you use flour you should let it simmer for 20-30 minutes to remove the taste of flour. Although, I prefer thickening with flour. It is a little bit more of a hassle, but I'm not much for the transparent sauces you get with cornflour and other simple starches. 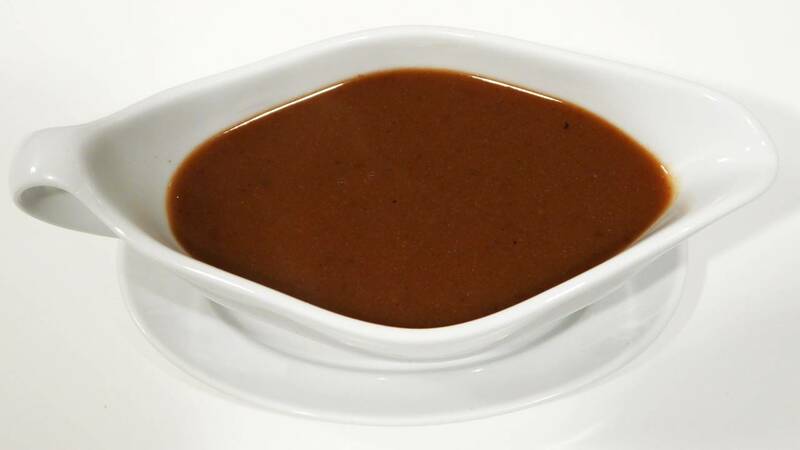 The basic rule for thickening a sauce is 3 tbsp of flour/starch per 1/2 liters (2 cups) of liquid. So if you know how much sauce you want to end up with, you can just add all the flour at once in the beginning of cooking. If you do use cornstarch to thicken, you can avoid the transparent sauce by adding a bit of milk or cream.